4Cent designer Matt DeAlmeida reports this week straight from design school in Florence, Italy, home to some of the world's most beautiful architecture and aesthetics. Every year High School students wrap up their Junior and Senior years with a blurry smear of college admissions, guidance counselors, and SATs. Students meet with guidance counselors that often just funnel them through the process. Last year, I shuffled my way through, and applied to all the typical design colleges. I got into a bunch of the big-name art and design schools that I applied to -- which was great -- but I wasn't realistically going to be able to swing the money for them. I also just wasn't excited about going to some other school that I wouldn't get much out of. That leads me to where I am now - Florence, Italy. I'm attending the Florence Design Academy, studying Industrial Design and all of my classes are applicable to what I do as a designer. Subjects and focuses include everything from Industrial Design to Graphic Design, Design History, Advertising / Marketing, 3D Design, Sketching and much more. My experiences with different sports, cultures and products has always helped me relate and establish a consumer and create a product that works for them. My move to Florence has definitely given me a new perspective for when I design, but also the understanding of a market I could only imagine before. From now on my 4 Cent write-ups will be coming from Florence and feature the things I see, places I go, and of course -- design. Hope you enjoy. 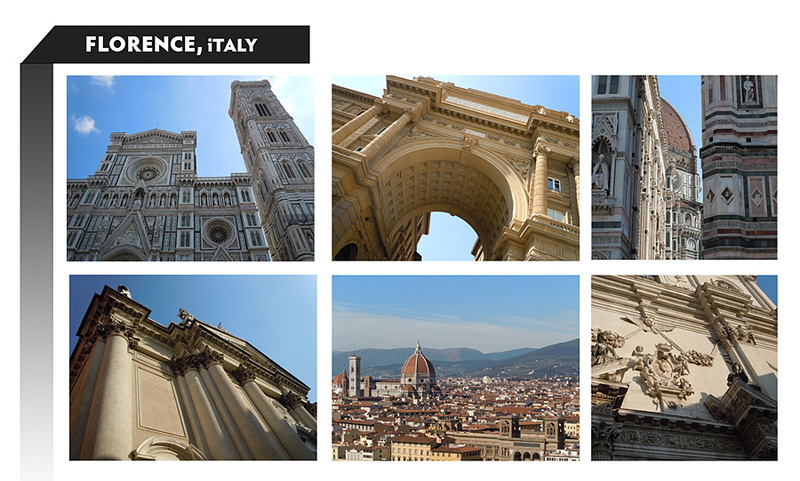 Florence has a long lineage of famous designers from Michelangelo and Da Vinci to Gucci. The city is layered with colorful buildings and details are crammed into the smallest places. 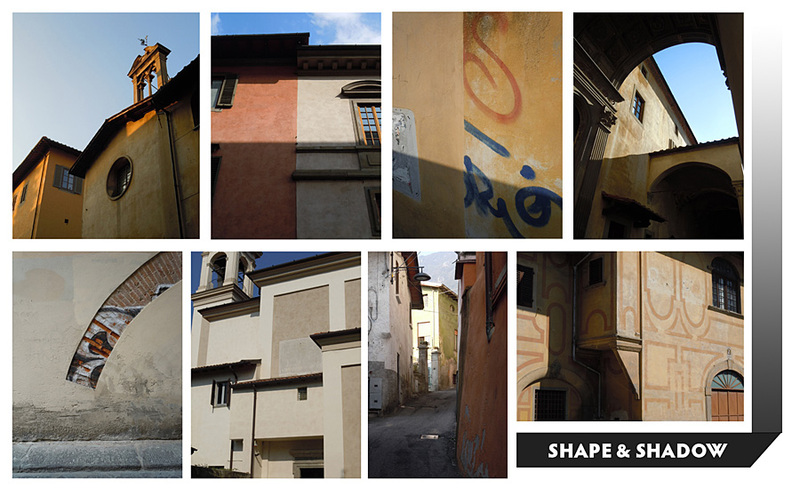 Classic Italian architecture is everywhere, mixed in with a twist of modern fashion and a sprinkle of dope graffiti. The mix of the very rigid and classic styles with a current design vibe creates a really cool contrast. Walking around the city one can't help but notice the elaborate churches, pillars, arches, domes and sculptures. Everything is so detailed. From the quality in the handmade leather goods and shoes to these huge monuments perfectly aligned and spaced in proportion. These are things you would expect to see when coming to Italy, but the unexpected things are what I find the most interesting. The buildings are all painted similar shades of deep reds, pinks, grays and creams. They are all very congested and on top of each other, and unlike most major cities in the United States, there aren't many buildings past six floors. The combination of the heights and colors creates some really amazing visuals with shadows from the sun. 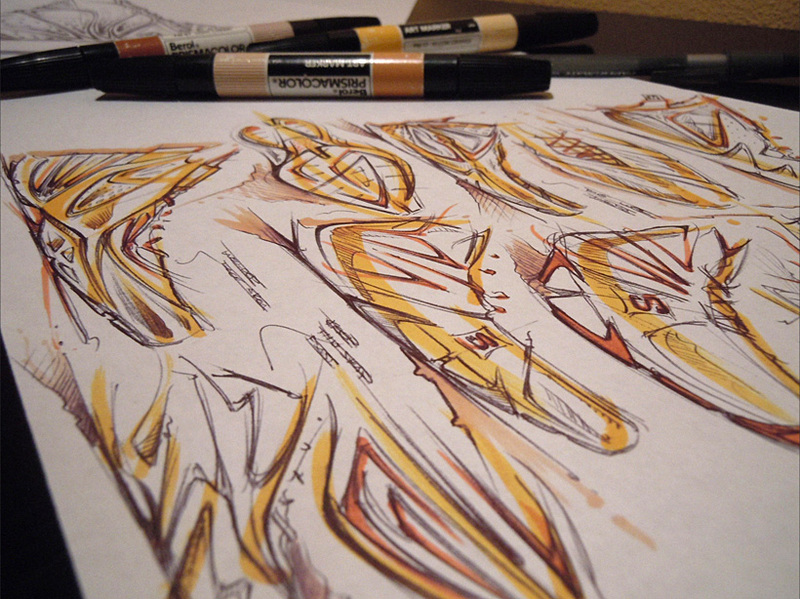 There will be a special mid-week 4 Cent feature where I will wrap the inspiration of color, shape, and shadow into a design. Here is a sneak peek of what to expect. Be sure to comment and let me know what YOU want to read or see in upcoming features, as I'm happy to help share a rare perspective on design from the beautiful city of Florence, Italy.